If the vehicles you use in today’s conditions are damaged, eliminating these damages has become a process that significantly prevents lost time and work. Both the sizable costs of these repairs and the duration that the vehicles are out of action play an important role in the disruption of your business. The challenge of being able to secure all possible risks during vehicle use is on another level. As LİDER FİLO, we provide an insurance system that takes into account all possible risks to your vehicles. In this context, all vehicles you lease from LİDER FİLO are equipped with an automobile insurance system that will offset the costs of a number of situations such as accidents, floods, theft, earthquakes, and terrorism. In addition, the process of eliminating these damages does not affect you in any way. We carry out this operation that starts with the delivery of the vehicle to the related service unit from the place where the damage occurred and continues until the repair is completed and the vehicles is delivered back to you. The replacement vehicle, which we provide to you while the vehicle is being repaired, prevents loss of work. 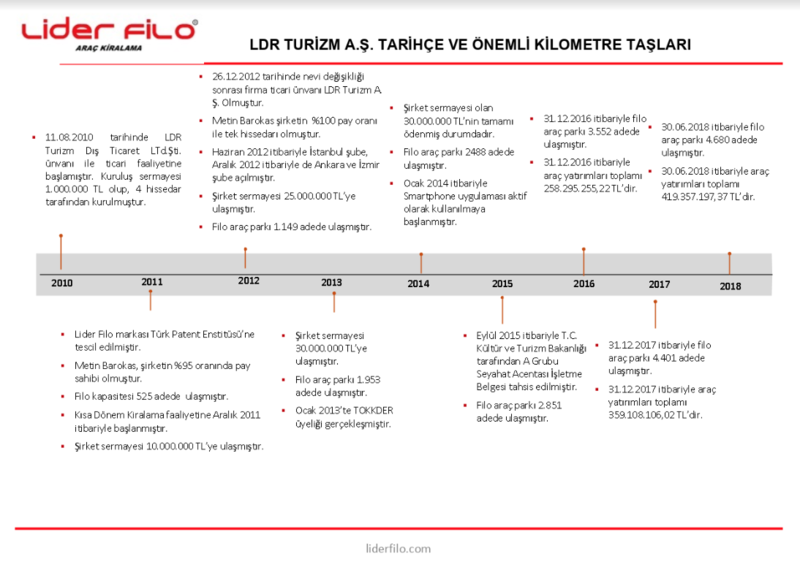 These privileges that are only provided by LİDER FİLO will present to you great advantages in this context.